Depending on the soil type, fertilizers can be applied to crops before planting, right after planting or throughout the growth of the crop. Applying fertilizers prior to seeding or planting is referred to as pre-plant fertilizer application. This practice can help bring soil nutrients to an adequate level and ensure that the crop has a sufficient pool of nutrients to use at the time the nutrients are required. Compared to other fertilizer application methods it is easy to apply and fertilizers can be uniformly spread over the field. The amount of fertilizer to be applied as a pre-plant application depend on the soil nutritional status, soil texture and the properties of the nutrients to be applied. Soil analysis – the decision of which nutrients to apply in the pre-plant application and at what rates, should be based on soil test results. Soil texture – light, coarse soils are usually able to hold less nutrients than heavy-textured soils. Therefore, pre-plant application in sandy soils might result in nutrient losses by leaching and, as a result the crop might suffer nutrient deficiencies and the applied fertilizer might be wasted. On the other hand, silt and clay soils can retain higher amount of nutrients and higher pre-plant application rates can be applied. Pre-plant application of nitrogen – nitrogen in the nitrate form (NO3–), is not retained by soil particles and, therefore, might quickly leach to below the root zone of the crop. Therefore, the recommended pre-plant application of nitrate is up to 30% of the total nitrogen requirement of the crop, depending on the soil texture. In coarse-textured soils, pre-plant application might not be effective. Pre-plant application of phosphorus – phosphorus is generally immobile in soils as a result of interactions with other elements in the soil, such as calcium, aluminum and iron. Therefore, pre-plant applications of phosphorus are common. 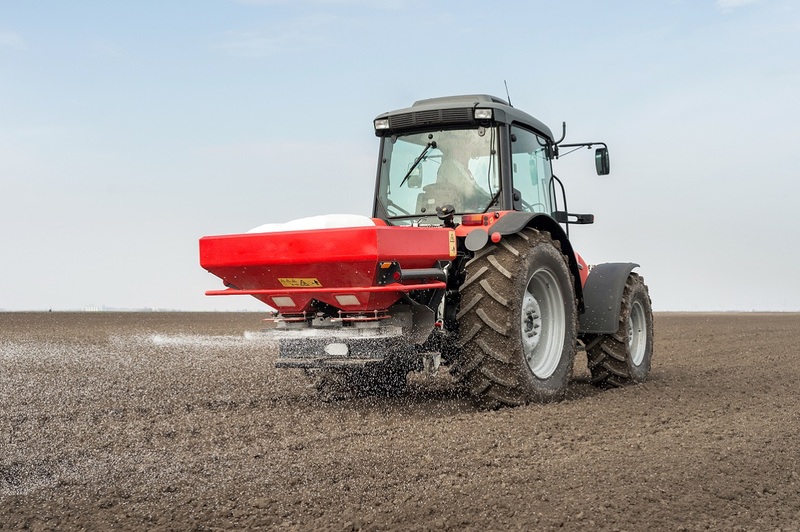 The common phosphorus rate applied as a pre-plant application is within the range of 50-100% of the total phosphorus requirement, where 100% is more often applied in silt and clay soils. Pre-plant application of potassium – potassium is cation, i.e. carries a positive charge. Therefore, it can be adsorbed to soil particles. The mobility of potassium in soil is intermediate. Therefore, the rate of pre-plant potassium application lays within the range of 20-50% of the potassium requirements. Although pre-plant application is convenient and more easy to apply than in-season split applications, it also involves some risks. Nutrient leaching – as mentioned above, nutrients that are applied too early in the season, might leach below the root zone, especially in light-textured soils. High levels of precipitation or irrigation amount that is too high, might result in nutrients leaching to below the root zone and to nutrient deficiencies. Runoff – phosphorus is not mobile in soil and remains mainly in the topsoil. Therefore, it might be lost by runoff. Phosphorus lost by runoff reaches lakes and river and cause an environmental problem. Volatilization of nitrogen as ammonia gas – occurs when urea or ammonium-based nitrogen fertilizers are applied close to the surface of warm, moist and high pH soils. Under such conditions, urea and ammonium are converted into ammonia gas (NH3) and volatilize. Pre-plant application of ammonium and urea nitrogen sources may lead, therefore, to major nitrogen losses if the nitrogen fertilizer is not incorporated properly into the soil. Salinity – the application of high rates of fertilizer prior to planting raises the salinity of the soil. This might damage young seedlings or avoid germination. The salt index of the fertilizer, which is the measure of the potential of the fertilizer to damage the crop, should be considered. 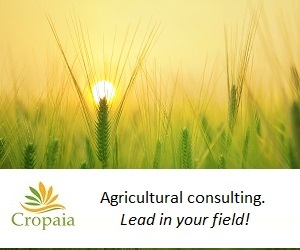 Toxicity – ammonia applied as anhydrous ammonia or formed as a result of urea application and ammonium at high concentrations are toxic to seeds and seedlings. Therefore, the conditions under which urea or ammonia-based fertilizers are applied and the placement method should be carefully considered. Pre-plant fertilizer application is a common, convenient and economic way of applying fertilizers to soil-grown crops. However, this practice holds some risks that the grower should be aware of, and it cannot be applied under certain conditions.